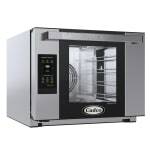 The Cadco XAFT-04HS-TD Bakerlux™ half-size convection oven is small enough to fit on a countertop. 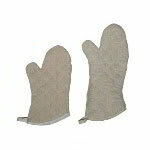 It has uniformly spaced shelves and a dual-directional fan so food bakes evenly. An LED light illuminates the interior when user checks on food. To notify the user the cook cycle is over, the oven will flash and beep whenever the cooking cycle is over. 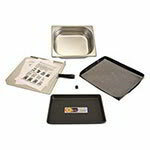 To withstand daily use, the oven has a large motor, durable door, and heavy duty stainless steel construction. 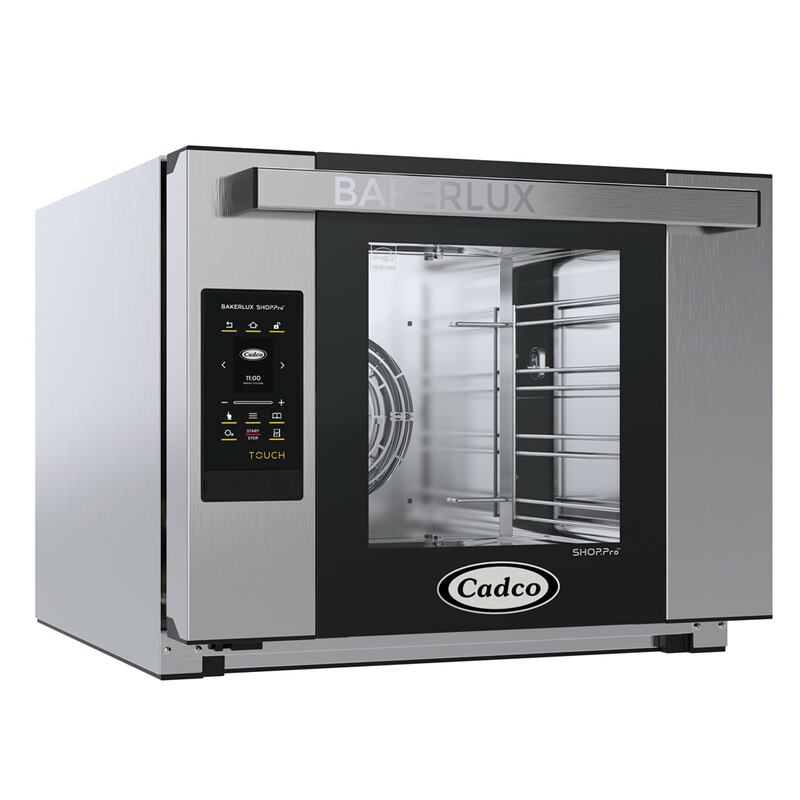 The Cadco XAFT-04HS-TD convection oven can save 99 presets for various dishes, while the touchscreen display enables users to quickly choose a desired recipe. 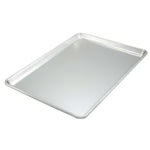 New to convection ovens? 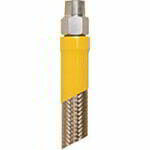 Learn more about them with our buyer's guide.